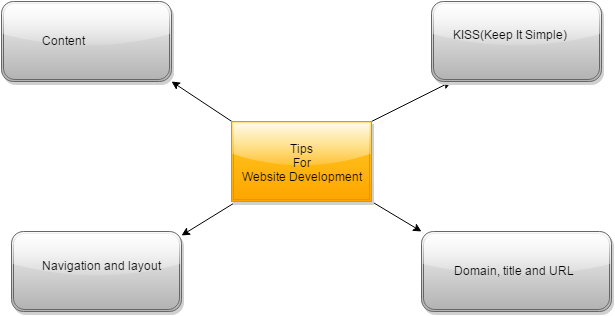 In this article, you will find a general study of website management and website promotion tools. There are a countless number of websites and thousands of web pages are being added to this ocean of information each day. It is very difficult for a website to get the audience’s attention and present its claim as the best and reliable one. Though you have launched a nice website with the really good content and attractive presentation, it is not enough. Unless you don’t promote or advertise your product or service it cannot grab any attention and become fruitful to you or your target clients/audiences. Here in this article, we will analyze the different aspects of website promotion. First of all, it is essential to understand the actual benefits of website promotion. In a big sense, website promotion is a way to reach to the maximum number of audiences so that the message and the information can be communicated in the favor (both monetary and nonmonetary) of the individual, company or organization. 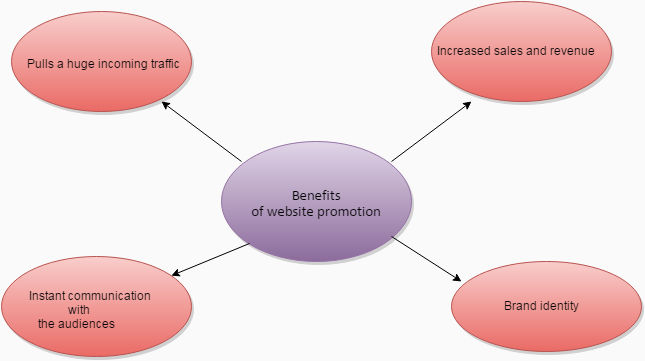 The importance and the perk of website promotion are equal to anyone. It is actually the primary aim of the entire website promotion process. Here the promotional staff engaged with a particular website, submit it to the various search engines and online web directories. Social media and the social networking portals are also used to influence the potential customers and all these tactics ultimately draw the higher rate of organic traffic to the website. More traffic, more e-commerce activities, more inquiries and more sales all these activities drive the company in the way of earning a good amount of revenue. Website promotion and website management are the part of the e-marketing strategy, if planned and implemented well can result in the higher rank on the leading search engines. In this condition, the boost in the sales and revenue is doubtless. Websites are the globally trusted medium to establish and develop the brand identity. The promotion of a website is actually the promotion or advertisement of the brands and the products covered as the subject matter of the web pages. This way it not only informs the product but also develops its credibility to the present and the potential customers. A website is the easiest and the most convenient method of establishing the two-way communication with the audiences or client, where you can easily deal with their reviews, critics, comments, and advice. So while you promote your website you actually achieve more closely with your clients. It is the first and the initial part of any website, be sure that your content must be original, unique, fresh, interesting and attractive. Pay more attention and focus on the keywords the keywords are the base on which the search engines pick the website from the internet and list them on the screen. So, if your website doesn’t contain the proper keywords in the right amount the possibilities of its being found and being searched are very low. Further, the content must be updated on a regular basis and there should be some good content on each web page to maintain the curiosity and interest. And don’t forget to compliment your content with the eye-catching and relevant picture. For any submission on the web, you will need the domain name. It must be catchy, interesting and easy to remember. As there are too many domain names are existing in the market, one needs to be careful while choosing a suitable for his website. The next thing, the title, should be specifically described on each web page as most of the search engines use it as their search result.it should be simple, maximum 10-12 words and impressive if included the keyword in it. Now come to URL; it also should contain the keywords in it to easily find by the search engines. Navigation plays an important role in influencing an audience to stay more on the website. The links to all subpages must be available on the home page also each subpage must be linked back to the homepage. This basic principle is also applicable in the relation of website management as an average audience is not comfortable with a too busy and complicated website and often leaves it with frustration. So try to not use the scroll on the home page and use small headers. Your home page should be equally good looking and convenient to all gadgets and devices such as the laptop, desktops, mobile, tab, etc. Try to use fewer flash files and large images to reduce the loading time. Well, now we have sufficient knowledge about the importance of website promotion and secrets of an effective web management, it is time to take a look at some tools for the website promotion. If someone follows them with concentration and proper planning, will surely increase the ranking of the web page remarkably higher. There are some very important SEO tools (such as Google Keyword Tool Planner) that you should understand and apply while working on the website content. It is best to research and adopt the keywords with low competition and high demand or search frequency so that you can create a content that is really in required by the audiences and your article or blog post may be easily noticed. A smart SEO planning that covers the search of suitable keywords and their effective application (in title, content, heading, pictures tag, alt tag and meta description). Using the traditional SEO techniques is the trusted tool for website promotion that gives 100% positive results in attracting the traffic towards the website and assuring the higher ranking. Social media has changed the entire scenario of the online marketing. Today, by creating a social media account and directly interacting with the audiences and clients a company can easily communicate with them and can entertain the increased sales and revenue. In another word, a social media account avails a huge platform to promote your products and services to the right customer and influence them to deal with you. Facebook, Google+, Twitter, Instagram and Pinterest all give all support to build a bridge to deliver all your information to the target and potential customers. It is the simple, smart and effective method to promote your website and gaining the startup traffic. To get listed, you just need to submit your latest content to a search engine directory (such as Google, Bing or Yahoo). This is more often a free facility provided by the leading search engines and listing with the small has its own benefits. If your website is based on providing the fresh content regularly at very short intervals, this is the first and most important step you need to take. The brand image is the face of your company and this worthy working on developing it. There are so many methods so that people may recognize your company, for example, developing a mail signature that can be equally used for the text messages, forums and the URL of your website. Today, a large number of clients prefer to visit the internet through the mobile or Smart Phone so it is essential that your website is friendly to these devices. It is also recommended to develop and follow a separate mobile marketing strategy to reach more and more potential customers effectively. Your all efforts to develop a smart strategy, listing and policy implementation, is a waste unless your web page contains the high-quality content. Your content must be fresh and useful to the readers as by developing and maintaining the quality of your blogs, articles, and posts, you can turn the ordinary net surfer into your dedicated followers. Google Authorship is another way to get visibility on the web frame wen you are engaged with developing the company logo brands. And don’t forget to inform your followers through your social media platform about the arrival of new article or update. One more smart way to promote your website as well as your business. Here you can register yourself for free and upload all your related information along with images and business specifications. This facility provides you a vast coverage of the local business environment and the interested customers can easily reach to you through this. The aim of creating this website promotion guide was to show you how you can promote your website with the help of website management and tools, if you have any question related to this website promotion guide then you can comment below.